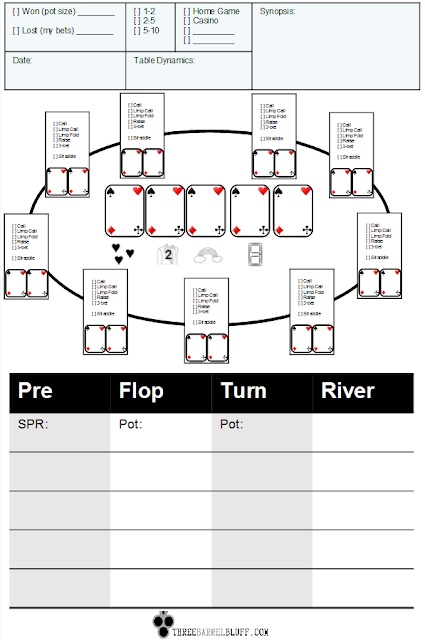 In Poker Plays You Can Use, Hand 11 shows me completing the small blind in a multi-way pot with Kh5h. It is checked to a player I have been studying for a while. He bets on a board of 9h9dTd from the last position. I check-raise. I did this because I knew he never bets out on the flop with trips or a boat. With this knowledge, I am able to fold him out of a Ten on the turn. How did I know that he always slowplays his big hands on paired boards? Here is how it would be used. So at a $2-$5, I am on the button with AK, I raise two limpers. One of them calls. $72 in the pot and the short stack is about $700, for a Stack To Pot ratio of 10. The board is 4A9r (as opposed to monochrome or two suited) The Villain check-calls $50. King on the turn, no back door flush. Vilain Check-folds to $150 bet. I used these shamelessly at the tables. No one ever even asked what I was doing. I don’t think most players even noticed. 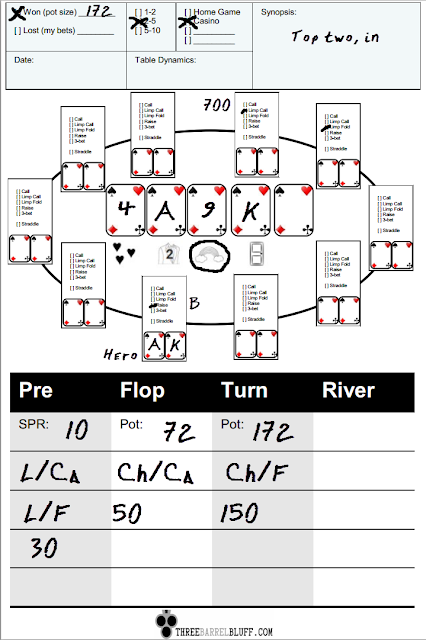 I then went back and reviewed every hand I saw my target play. I got a good sense of his range, and tendencies. I was able to go back and confirm that he would bet paired boards, but not with trips or a boat. As you see from the book, I was able to exploit this pattern once I noticed it.